You are here: Sherman Oaks Real Estate and Homes for Sale » Uncategorized » Buying a Home? Don’t Forget the Inspection! You’ve finally found the home that is just right and made an offer and it was accepted. Now you just wait for escrow to close, right? Wrong. Now is the time to have the home inspected to make sure you are aware of any possible issues in the home before it’s too late and the deed has been transferred. 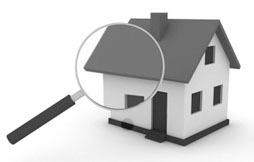 An independent inspector can evaluate your potential home on a structural and functional level and give you a full report, generally in under two hours. This report can help you feel at ease with your purchase and alert you to any areas of concern. If there is a swimming pool or spa or unusual home appliance or fixture, you may want to have that inspected individually by a reputable repairman in that field. Questions and concerns relating to asbestos, lead or chemicals, mold and mildew, or pests will need to be directed to an inspector licensed in those specific areas of expertise. An evaluation of the walls, ceiling, floor, roof, firewall, windows, foundation and slab. Inspection of the landscaping, looking particularly at grading and drainage, although drives and walkways, fencing, trim, doors, windows, and outlets will be checked as well. General framing as seen in exposed beams or attics, ventilation, duct and plumbing systems, and the condition of roofing materials, plumbing and rain gutters will be noted, too. Water heaters, fireplaces and the sprinkler system should be evaluated. The electrical sources and wiring in the home will be inspected, from circuit breakers and grounding systems to exhaust fans and receptacles. All appliances, including the garbage disposal, alarm system (if needed) and all smoke detectors. Every county and state has different regulations in regards to home inspections, so it it best to use a local inspector recommended by someone you trust. If the inspection uncovers issues in the home regarding health and safety issues, a need for the roof or ventilation system to be replaced, a problem in the home’s foundation or significant drainage concerns, you will want to further explore the problem at the seller’s expense.